One of the most difficult tasks any business owner faces is marketing and finding clients. Without clients, we don't have a business, but without marketing it's tough to get clients. So it's a chicken and egg thing, and is hard for many of us to figure out how to make it all work. As a senior photographer, I am always looking for opportunities to get in front of my target clients without spending a lot of money. I do photography as a part time business in addition to a day job, so spending a lot of money on marketing just isn't an option. 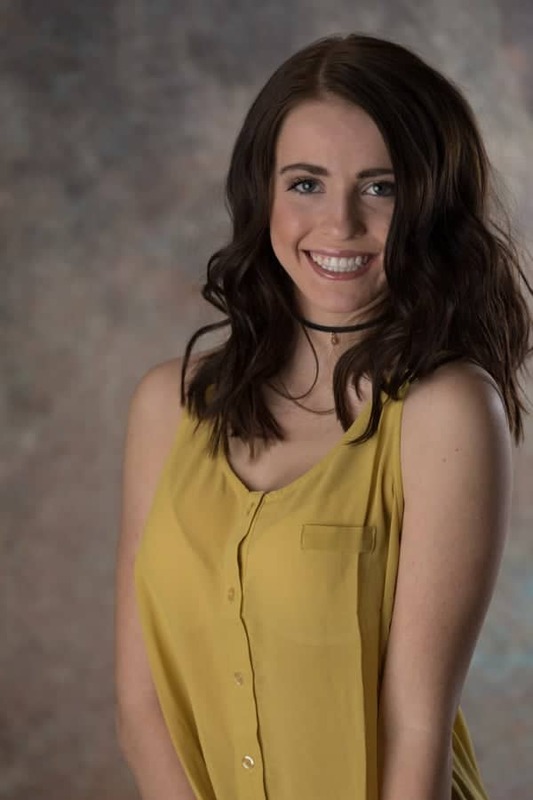 There are a lot of quick fix tips out there for marketing your senior portrait photography, but the tips I outline in this article are designed to help you build a strong marketing foundation. Once you've built a solid foundation, any additional marketing ideas you implement will have a better chance of success because of your efforts. If you're a quick fix type of person and don't have patience for the long haul, there are still good ideas for you here. Just start with the first three tips and build from there . Once you know who your target clients are, identify what sets you apart, and set up a system to collect emails, you can use that information to help you get traction in every other marketing avenue you pursue. We'll begin with a rundown of the 13 tips, and then dig in a little deeper as we go. It's difficult to focus your marketing efforts properly if you haven't identified who it is you want to work with. You might be thinking, “I want to work with anyone willing to pay me for my services”, but when it comes to marketing, you will have better results if you market specifically to your identified target client (also commonly referred to as your client avatar). So how do you identify your client avatar? You can start by thinking about the people you have most enjoyed working with. Where do they live? Where do they hang out? What activities are they involved in? Why have they chosen you? Being as specific as possible about who your ideal client is will help you make better business and marketing decisions. Click here for an article with some great tips to help you pinpoint yours. Do you offer an experience that is more than just “taking photos”? What does it entail? What about it is appealing to your clients? Do you specialize in sports, dance, theater or some other niche? Talk about it! By specifically targeting your ideal client avatar and talking about what sets you apart, you will differentiate yourself from the rest of the market and attract more of the clients you desire. If your favorite social platform stopped delivering your content to your clients tomorrow, how would you communicate with them? With ever-changing social media algorithms and the fact that you don't own those platforms, it is increasingly clear that having an email list of your followers is super important for a number of reasons, but two in particular – 1) these are people who like you and have intentionally signed up to receive your info, so they are more likely to do business with you, and 2) you own this list, so you don't have to worry about losing contact with your people if social media blows up. There are a number of email marketing service providers out there – I'm sure you've heard of MailChimp, Constant Contact, Mad Mimi, and others. Do a little reading and find one that works for you (or outsource the project to someone who already has the knowledge). For a little more information on why email marketing is so important to the success of your photography business, check out this article. 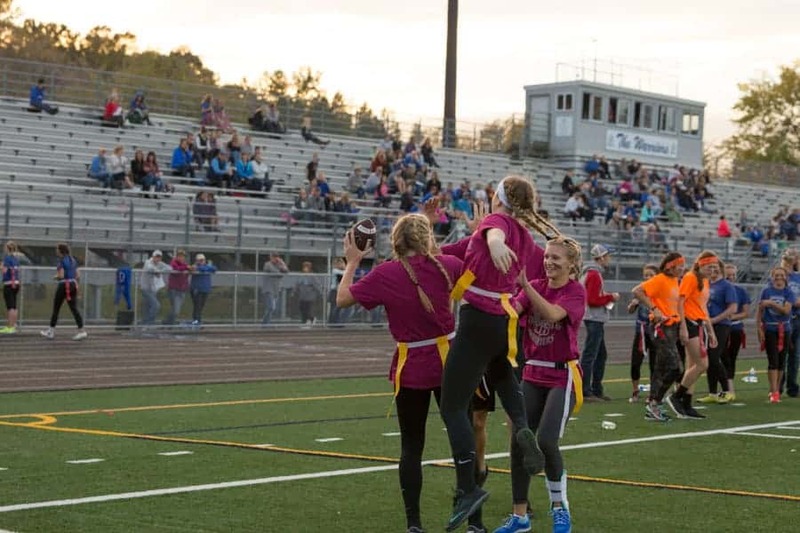 Go where your idea clients are, in this case the local high school powder puff game. Knowing who your client avatar is will help you determine where to spend your time. For example, if your avatar is a football or soccer player, then attend games, follow the sports news, and get involved with the community. Consider shooting some photos and posting them on your site for the players and parents to share. Allow them to download watermarked social media images for free, then offer an option to purchase high res copies and prints as well. Everyone loves having “good' pictures from their events, and parents eat this stuff up! Most parents would rather be focused on watching their kid play than taking photos. Your visibility at these events will put you and your business front and center in their minds when it's time to schedule senior photos. And, if you really want to get involved, contact the school's coaching staff to see if you can become the “official” team photographer. Schools always have a need for good photos beyond what the yearbook staff is able to provide. Perhaps you can provide photos for an activity or event that is in your wheelhouse, but currently under-served. This can be student council activities, the drama club, sporting events, pep rallies, proms, and other events. Find your niche and see if you can get into the school to photograph it. It is always a good idea to have a contact within the school for added credibility. Just like the sports photos, offer a free option to the students, and the option to purchase for those who want it. And, just in case I've lost you with all this talk of FREE stuff, you need to remember that you are doing this for marketing. You are trading your time instead of dollars, and I would argue that the return on investment for this type of senior marketing is much higher than on any ad you might place with traditional media outlets. This will be different things to different people, but once you know who your client avatar is and what sets you apart from other senior photographers, design your experience around that. For example, using the football and soccer avatar example, if you specialize in creating edgy and gritty sports photos that really resonate with your target clients, then create an experience around that. Whether it's having access to locations and people that other photographers don't, incorporating unique and creative ideas into your sessions – atmospheric aerosol or smoke machines, for example, or utilizing post processing techniques that are unique to you or your market, develop an experience that will attract and resonate with your ideal client. While it's tempting to show all of your work on social media and in your marketing in general, it is important that you continue to focus on attracting your client avatar. For example, let's say you specialize in creating edgy and gritty sports photos that really resonate with your target clients, but over the weekend you shot a wedding for a friend. If you put those wedding photos on your website and social channels, two things will happen – 1) you will confuse your target client because they are no longer sure what you do, and 2) you will get inquiries from potential wedding clients, when that is not the type of client you are looking for. If you mix in light and airy wedding photos with hard and edgy sports photos, your client avatar becomes confused, and doesn't know who you are really looking for. This doesn't mean you shouldn't take other jobs if you need to or want to, but when it comes to marketing your senior photography, it is important to stay in your lane and make sure your target clients know what they can expect from you. 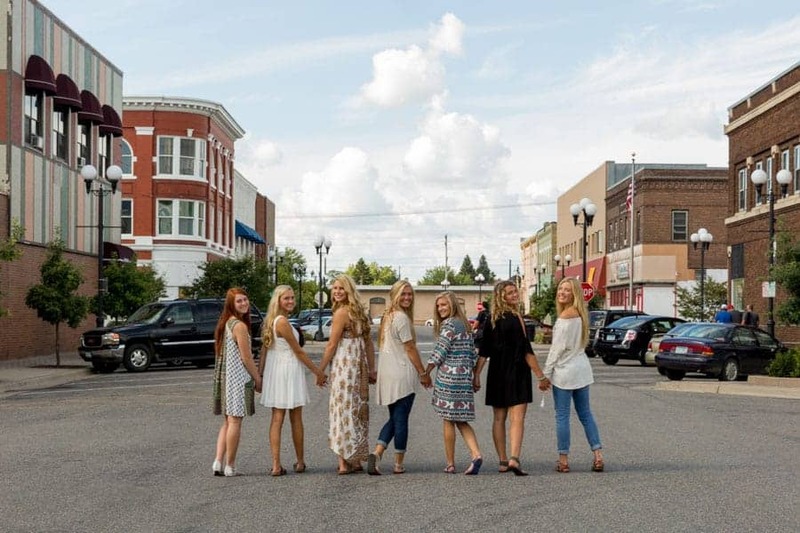 The opportunity to wear fun and fresh fashions for senior sessions is a result of local marketing partnerships. Tip #8 – Partner with local businesses that appeal and cater to your target market. If you're targeting sports, find out who the go-to businesses are for sports equipment, practice facilities, gyms, etc. Contact them and find a way to partner and bring awareness to their business and yours through cross-promotion. For example, if a local gym has some great conditioning programs for the football and soccer players you desire to work with, and is considered the “go-to” gym, meet with the owner and offer to do some marketing photos for them. See if you can get some of your shared ideal clients to be “models” for the shoot. Most small business owners do not have the resources to have professional photos taken for their websites and marketing, so you will likely be offering a much needed service. Do your research before you approach them, however. You need to find a win/win opportunity, and your “give” needs to be bigger than the “ask”, at least in the eyes of the person you are approaching. Go into the meeting offering something, rather than asking for something. If you do your research and find a need they have that you can fill, you'll also gain exposure to attract your ideal clients…overall a win-win situation. Tip #9 – Keep your blog up to date and consistent. Like most of us, seniors like to be featured in blogs, social media, and websites. Social media makes directing people to your blog posts fairly easy. By tagging and sharing your blog posts, you can showcase your clients while also providing a great marketing opportunity for your business. Every time your client's friends and family see them featured in one of your posts, it places your business in their mental file folder labeled photographer. The more you get connected in their minds as a senior photographer, the more likely you'll be top of mind when they or someone they know need one. Let people know who you are. I don't mean your name or what you do, but something personal they can connect with. You don't have to put everything out there for the whole world to see, but if you let people in a little, they'll discover common ground and feel a connection to you. Think about two or three areas of your life that you're willing to talk about that won't make you uncomfortable, and then make sure you include them in your social media and blog posts on a regular basis. For example, if you are obsessed with gourmet pizza, and are always on the hunt for the next best combination, talk about it! Your audience will connect you with gourmet pizza and start thinking of you every time they order pizza. Maybe you're an avid mountain biker or volunteer at your local animal rescue center. Whatever it is, infuse a little bit of yourself and your passions into your business. Your clients will connect with you more readily, which will keep you and your business on their radar. Getting to know your clients and going above and beyond allows you to capture moments like these. Give them more value than they expect and they won't question your value to them. I think it can be really easy to overthink this one. We read about people giving elaborate, personalized gifts and other trinkets to their clients, and I don't think there's anything wrong with that, but…little things that don't cost a thing can make an even bigger difference. Take the time to get to know your clients and their families, send them a special text or call them on their birthday, ask how their family trip went, attend an event that they are participating in or are passionate about. Show them that you care about what matters to them, and they'll appreciate it, and become passionate advocates for your brand. Of course, you must be sincere about it. If you're not, don't do it – they'll see through you in a heartbeat. As Teddy Roosevelt said, “No one cares how much you know until they know how much you care”. The point is that every senior photographer out there is essentially selling the same service. Yes, I understand there are different levels of skill and styles, but to develop a business that is successful for the long haul, you have to start with developing your relationships first and foremost. Identify your ideal clients and then work to develop genuine relationships with them. When your potential clients see how you invest in the lives and interests of your current clients, and place value on it, they will want that same experience for themselves. Tip #12 – Volunteer and get involved in with local fundraisers. While I don't advocate for giving away sessions or free stuff to get clients, I do think it makes sense to make donations to local fundraisers and events once in awhile. This doesn't mean you donate to everything – find causes you care about that are also important to your client avatar, or will put you in front of your ideal client. For example, most schools have their own foundation, or at a minimum host any number of fundraising activities throughout the year. Contribute by donating a session or product for a silent auction item, taking photographs to document the event itself, volunteering on the planning committee, or anything else that makes you feel good and brings marketing value to your business at the same time. And of course, volunteering just for the sake of volunteering is also a great idea, but since we're talking about marketing tips here, finding a way do both is ideal. Partnerships with local clothing boutiques provide marketing opportunities for the vendor and photo shoot opportunities for my model team. A great way to wrap all of these marketing tips up with a bow is through a senior model program. Now I'm not talking about putting out a model call, handing them a set of business cards and asking them to send you referrals. That's not going to work! 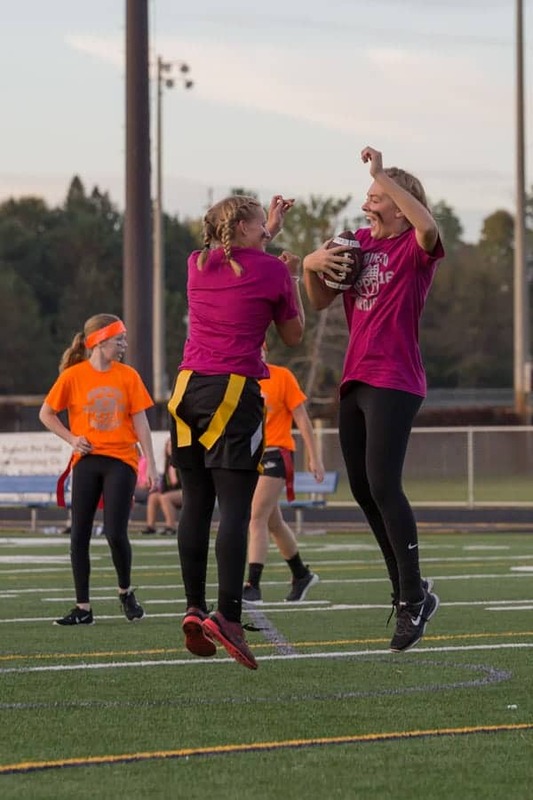 But you can recruit a group of upcoming high school seniors (make sure they're your ideal client avatars), apply these tips, and be well on your way to a successful marketing program. 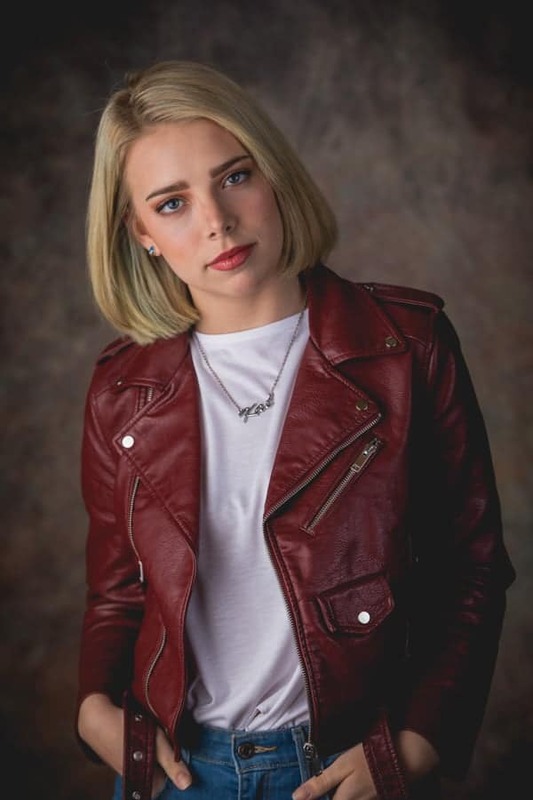 If you provide your senior models with a unique experience, let them get to know you personally, show up for events and activities that are important to them, and genuinely care about them and their lives, they will become incredible ambassadors for you and your brand. Having a formal model program with a few perks available only to them also allows you to test out certain marketing concepts and ideas before you roll them out to your entire client base – another win for your business! When implemented, each of these tips individually provide an opportunity for lift in your business. But if you develop a marketing strategy that incorporates all of these tips, you will build a brand that can weather ups and downs in the industry, changes in social media algorithms, and any number of other outside factors. Take the time to develop relationships, give more than you get, provide the best senior experience possible for your clients, and your business will soar. I hope you find these 13 tips helpful for laying the foundation of your senior marketing plan. I'd love to hear other ideas you have for marketing your senior photography business, so please take a moment and comment below.